Taking a trip to most people means a lot of effort in planning and organizing the trip. But whether you’re an occasional traveler, a seasoned traveler or a backpacker, a Goa trip is the most fuss free option on your list. This one’s a trip you can take without pleading your HR or getting your salary cut for days of absence. You can take a trip to Goa for 2 days or 7. It’s possible either way without missing out on much! Honestly, there’s no right season to go to Goa. While summers are usually buzzing with families on a holiday, almost most of the remaining year is full of young holiday folks. The party months like December can get crowded and expensive. Otherwise, you’re just ready to go and chill whenever you feel like! You can wear anything in Goa- right from a bikini to your daily jeans and top, everything’s acceptable. In case you’re not sure if you want to repeat your routine wardrobe, you can easily shop from the local markets for easy-peasy prices. You read that right! 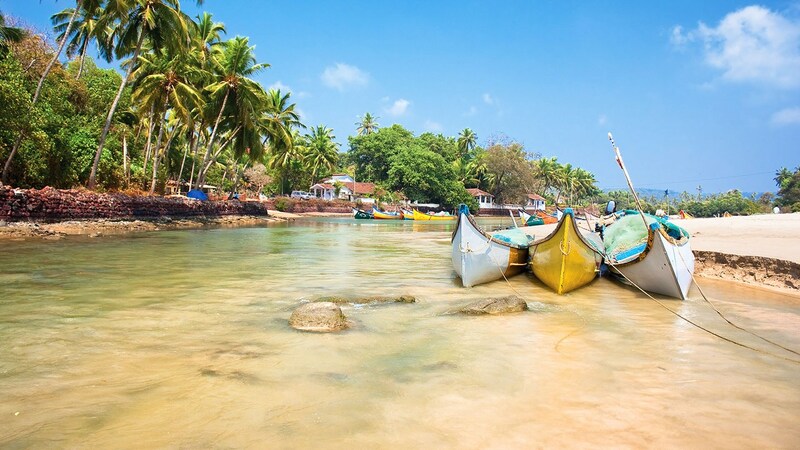 You need absolutely no plan or itinerary while taking a trip to Goa. There are beaches, churches and eateries and you can stop by any of them without prior planning! If you got no plan, you could cafe hop and enjoy cheap beer or check out the various beaches! From Rs500 to 15000 a night, you can get your accommodation at the budget of your choice. There are hotels, resorts, villas and even vibrant hostels to pick from. It’s up to you what you pick! But picking some place closer to the beaches is generally a great idea. Rent a scooter for 300bucks and add another 100-150bucks of petrol. It’s enough to take you to the lengths and extremes of Goa! There are buses of courses. However, Goa is very low on autos. So might want to prep up your riding skills! Goa means food and drinks no bar. Goa is primarily famous for it’s range of seafood prepped in both traditional Goan and Portuguese styles. However, the rapid rise in tourism has also made way for other cuisines like Punjabi, South Indian, Gujarati and of course Chinese. You needn’t go to an expensive hotel to find the food of your choice. It’s available all round the city and by the beaches too! There are beaches and babes and REALLY CHEAP BOOZE in Goa. No one’s in rush to get anywhere, no one’s in a rush to get away; you can keep the party going for as long as you like! Because that my friend is the only rule on your Goa trip! You can enjoy a quiet sunrise/sunset by the beach. You could simply drive around Goa! Hence, there’s a lot of CHILLING GUARANTEED! Are you ready to leave yet? I Love Goa and I also like your tips and guide about Goa trip thank you one more thing Goa is world famous for destination wedding.